Getting organised with paying bills pays off in two ways - it saves money by avoiding late payment fees, and it helps you feel relaxed. 1. Getting organised - when a bill arrives, I write the due date in highlighter pen at the top of the bill, hole-punch, place in arch-file in the order of the due date, with the earliest date at the top. Once a week I pay as many bills as I can, in the due date order. 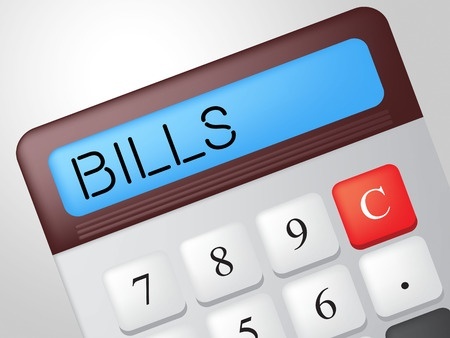 This means that bills do not get overdue (or lost) and incur late payment fees. It takes stress out as I can clearly see future bills, this helps budgeting. 2. Pay bills early. I pay bills on time or early so that if a period of low income occurs at least bill payment is up to date. Occasionally I have the pleasant experience of opening the arch-file and finding no bills there at all! My goal is to pay all bills as soon as they arrive, in which case they are then filed as receipts, and do not even need to go in the arch-file. This saves time as well as building a financial buffer. If you then had a time of lower than usual income, (being self-employed, our income is erratic), then not having any bills due would at least give you a breather. You could change back to paying bills on time instead of early and get a holiday from bill-paying, freeing up money for other necessities. I make it easier on myself by Bpaying some money every fortnight then will the bill comes in I'm either in credit or don't have much to pay of it. I am in credit to 2 of my utilitity companies with minimal amount due on another.